Every year Listen Up! features a seasonal Christmas show filled with holiday hoopla and weird and wonderful seasonal tunes While spirited and at times invigorating, these are not traditional holiday singalong. Come on ye krispy kringles, ’tis the season, so step away from the button down world, deck the halls and have a cool yule of a time. While all shows are archived and always ready from streaming, the podcast version is only up for a limited amount of time. In celebration of Christmas, these previous episodes will be available. 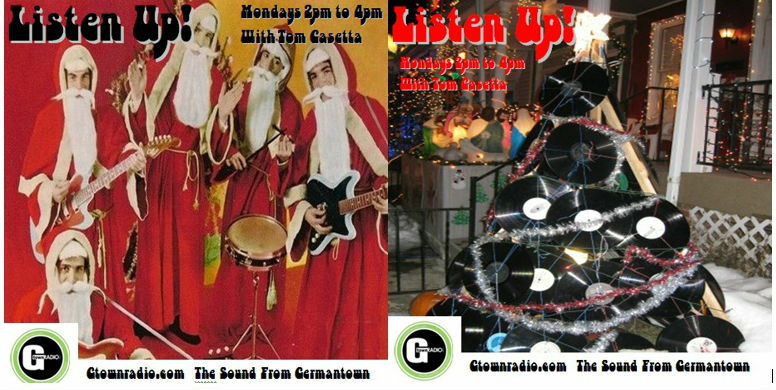 This year’s Christmas show happens on Monday, December 22nd from 2-4pm EST. Tune in live or catch on the stream or podcast (posted later that evening). Visit the G-Town Radio Donate page (http://www.gtownradio.com/content/view/251/96/). You can make a big impact by doing just a little. Thank you in advance for your support!